Recently I've gotten back into reading after not reading for pleasure for about 2 years! I'm not even sure why I stopped reading, perhaps it was lack of time due to my GCSEs, I'm not sure but I'm very happy to have finally picked up a book again. When I was younger, throughout Junior school I was such a book worm, spending my lunchtime in the library away from everything, reading. Whenever I read now I'm taken back to that time, that peace and quiet and I find that really relaxing. There really is nothing better than getting caught up in a book, I used to sit down and finish books in one sitting as I could never put them down. I really wanted to get that feeling back so reading 'The Fault in Our Stars' seemed like a good place to start, something emotional that I could lose myself in. For a while now people have been raving about the book but it has taken me quite a few months to actually order it. At first I had little idea about what it was about and by the time I had ordered it I had almost built up a story in my head of what I thought it would pan out like. My story was completely wrong and I was pleasantly surprised at how much I enjoyed reading this. Despite the tumour shrinking medical miracle that has bought her a few years, Hazel has never been anything but terminal, her last chapter inscribed upon diagnosis. But when a gorgeous plot twist named Augustus Waters suddenly appears at Cancer Kid Support Group, Hazel's story is about to be rewritten. Once I'd read the blurb I was almost certain of what would happen throughout the book, especially at the end but plot twist definitely is the phrase to use when talking about this book. I of course don't want to give anything away but I was surprised at some of the things that cropped up in the book. I like that it wasn't like any other book about a girl with cancer. It was a book about love between 2 people who just happened to be ill. I laughed, I cried a hell of a lot and I was very sad when I realised that I'd finished the book. I said to myself before I read it that I would read 1 chapter a day as I'm a fast reader and can sometimes whizz through a book without truly appreciating it. That worked out for about 2 days but on the 3rd day I was enjoying it so much that I just had to read the rest, fast forward 2 hours later and I was done. From the beginning I liked Hazel, I saw a lot of similarities between myself and her. She is the same age as me yet thinks and speaks like someone with an older and wiser voice. Cancer has forced her to grow up quicker, much like me, I've found that my health problems have made me mature quicker and often people tell me they thought I was older than 16. This immediate connection really pulled me into the story. This is the first book I've read by John Green and I can already say he is my favourite author. His writing is very intelligent and well thought out, he has the ability to make your cry and laugh, when you least expect to as well. I really do love this book and will probably re read it again in a few months, tissues at the ready this time though. If you are going to read this, which I really recommend you do, then definitely have tissues ready because you will cry and cry and cry. Have you read this? Did you enjoy it? Also let me know below if you want me to do more book reviews, I quite liked doing this one! 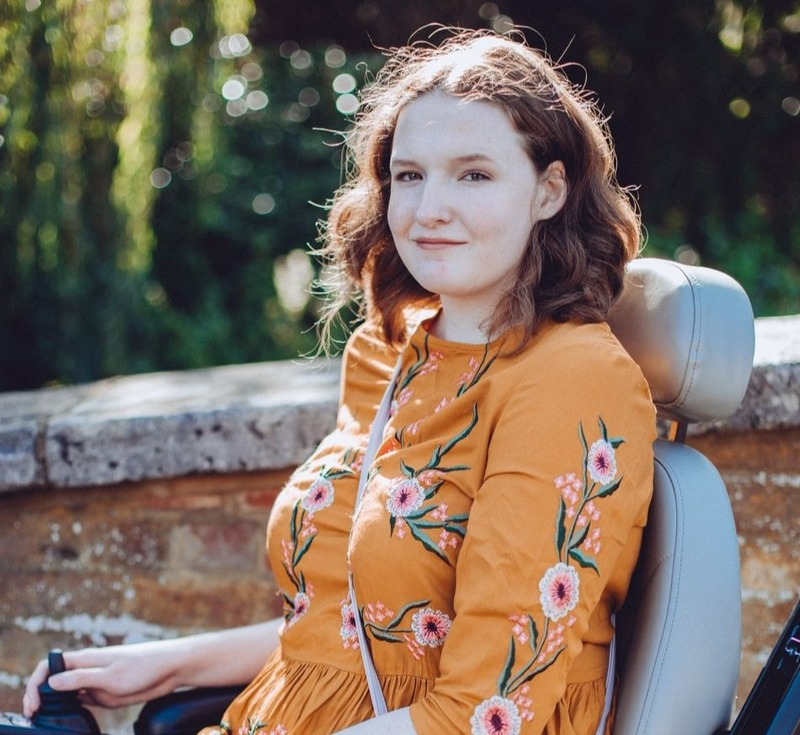 The Company Blogger Awards are back and I would love it if you'd nominate me for Best Teen Style Blogger (under 18), of course you don't have to but if you'd like to I'd be over the moon. If you do let me know so I can give you a virtual hug! Nominate here! THE EMOTIONS WHEN I READ THIS OH MY GOD. I've been meaning to read this book for a while, it sounds brilliant. Great review!